Once a staple piece of equipment, the trusted military fighting knife, has merged into a multi use role bayonet, or an item used by select units. Since the days of Jim Bowie, into the bloody years of the war between the states, and into conflicts across the oceans. The American military personnel has depended on a individual weapon to do many chores, from fighting in a hand to hand situation to opening the days rations. A fearsome weapon in skilled hands, thankfully a knife is not needed as often as it once was, due to the way modern wars are fought. However Combat is still Combat, that chance is still there, and where there is Combat, there will also be a fighting knife. So let’s take a stab at discussing this individual weapon of the military service. With it’s roots stretching as far back as the Alamo years, the Bowie has become a legend. Made famous by the connection to Colonel. James Bowie, who is said to have killed several men with it. The Bowie soon became a mainstay with hard men across the country. During the war between the states, the Bowie, slightly modified with a big “D” guard, became the unofficial issued personal weapon of the Confederate states, due to the fact that so many Soldiers wore it as a personal weapon. Starting in 1942, the iconic Ka-Bar fighting knife has kept many members of the United States Marine Corps alive to tell the story. 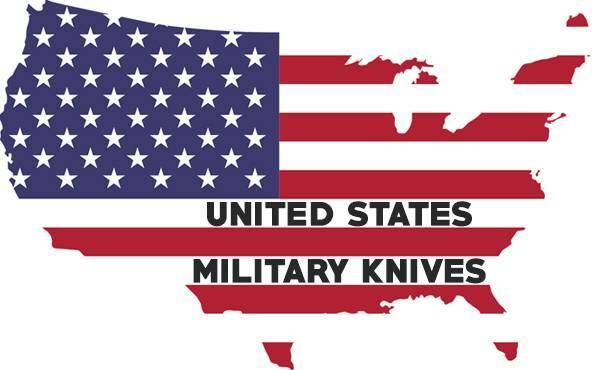 It wasn’t long before the knife was so beloved that not only was it used by the U.S.M.C. But the United States Army, Navy and Coast Guard Special services, and underwater demolition teams carried it as well. Reportedly seeing use in the Chosin Reservoir in hand to hand combat, the Ka-Bar has been with Troops in Vietnam, Iraq, Afghanistan and other points around the globe. While other knives can also claim a utility role and get a pass at it, not as much with the Trench knife. Granted it probably could open a can of beans, however it was much more suited for the rough and deadly trench warfare of World War 1. The Germans as well as the Brits, French and the U.S all had versions of the Trench Knife. Generally it was a 7-8” chisel point blade, Or a 9-10” stiletto/Spike type blade. All designs normally had the hand guard of some sort in common. Some even as far as making the grip-Guard another weapon system itself, a moulded in set of “Brass Knuckles” topped off with a spiked pommel, for one final last ditch tool. But everything about Trench warfare seemed to be last ditch efforts. The V-42, Or Fighting Commando Knife was an American version based on the Sykes-Fairbairn knife of British fame. The V-42 featured a double-edged stiletto blade, approximately 7-7.5” long, made from Carbon steel. One change from the Sykes-Fairbairn, is the hollow ground style blade. This change made the knife better suited for stabbing, allowing the blade to easily slip into the base of the skull, or achieve maximum penetration when sliding between the ribs. Manufacturing was done by WR. Case & co. And the strength of the blade was legendary. It was able to puncture any helmet of the period with enough force to ensure the skull was penetrated enough for a instant kill. Only two manufacturing runs took place, the first In 1942-1943, and then in 1989-1993. Starting in the early years of WWII, GI’s were getting their hands on Randall Fighting knives. 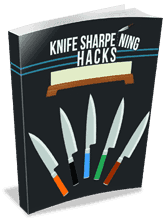 The quality of the knives insured that it would stand up to the tests of combat, the fact that it was forged instead of stamped, added in that extra strength. As the knife wasn’t issued, GI’s had to resort to mail order to get ahold of one. The 7” long ¼” thick blade, proved to be as tough as the men using them. After the war years, Randall Knives continued making quality Knives, Introducing several other models with the service member in mind. Sure enough, when further conflict broke out in Korea, then later in Vietnam, Randall knives found its way onto the belt of the Troops. Randall also has the distinction of being the knife worn by former President Reagan during WWII. The military has a long tradition with edged weapons, Be it the sword, or the bayonet, but the soldier himself has long enjoyed the security afforded by a fighting knife, as do we all. Hobby blade smith, photographer, cowboy cook, Amateur chef, avid sportsman in northeast oklahoma and cast iron collector.